Beach BOOSTER Radio Podcasts - A CHAT WITH OUR MAYOR with host Bill Frieday - March 29.17 - Our Future Starts NOW! A CHAT WITH OUR MAYOR with host Bill Frieday - March 29.17 - Our Future Starts NOW! Description: Bill enjoys a cordial discussion with Wasaga Beach Mayor Brian Smith about the exciting Downtown Master Plan and what it means to everyone in Wasaga Beach. Also discussed is Wasaga Distribution, Beachfront Managment and staff changes at Town Hall. The Power of Positive. Local Programming at its best, from Beach BOOSTER Radio, Wasaga Beach's only truly local radio! Please enjoy and share! 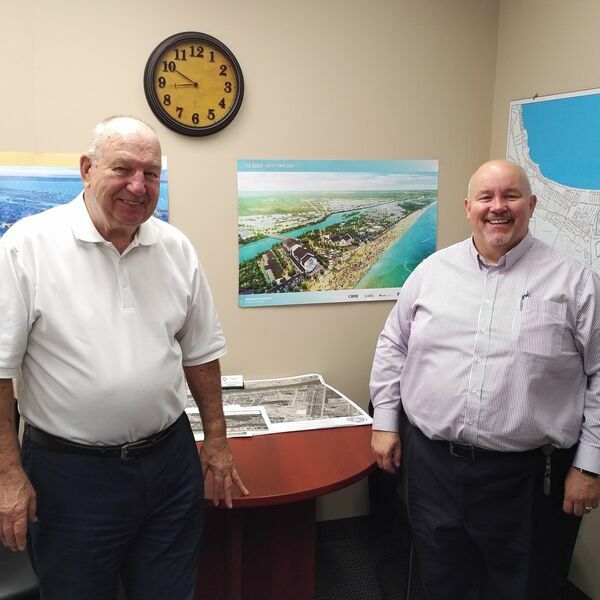 Bill enjoys a cordial discussion with Wasaga Beach Mayor Brian Smith about the exciting Downtown Master Plan and what it means to everyone in Wasaga Beach. Also discussed is Wasaga Distribution, Beachfront Managment and staff changes at Town Hall. The Power of Positive. Local Programming at its best, from Beach BOOSTER Radio, Wasaga Beach's only truly local radio! Please enjoy and share!